Here you can find information on all of the directors at Smith Construction and learn a bit about them by reading their profiles. 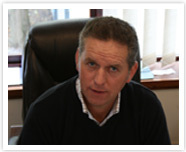 Born into the family construction and haulage business, Ian Smith's drive and ambition lead to his own enterprise as Smith Construction Ltd was formed in 1994. Incorporating his diverse knowledge of the construction industry, specifically groundworks, major infrastructure works and heavy civil engineering projects he was able to present a comprehensive groundwork package to a small, regular client base built on trust and reputation. Strong management skills and innovative ideas ensured steady growth and he quickly expanded the company to include haulage and a small skip hire service, Smith Skips, operating from Head Office where Smith Construction Group evolved. Recognising the importance of a strong brand, there followed the acquisition of a highly respected local haulage and earthworks company and 'Taylor Contractors (MK) Ltd' formed and became part of the Group. In recent years, all elements of the industry were incorporated from 'cradle to grave' as Ian championed the build and development of an in-house Aggregate Recycling Facility receiving material from across our sites. By mechanically reprocessing construction and demolition waste into quality recycled aggregates for resale and re-use across a wide range of projects, we meet our environmental objectives and ensure our prices remain low to Clients. Progression followed shortly after when 'Smith Skips' expanded within the group to become Smith Recycling (MK) Ltd dealing with all aspects of waste management and recycling of domestic, commercial and industrial waste. Development of a brand new Waste Treatment facility followed in 2010 and was established in Bleak Hall, Milton Keynes. Always innovative, he continues to seek areas of progression and currently explores new methods of recycling materials working in conjunction with the management team at Smith Recycling. 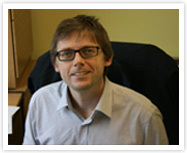 Graham joined the Smith Group as Quantity Surveyor before appointment to Director in April 2002. 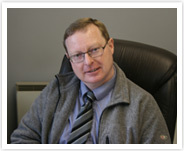 His strong background in civil engineering and 29 years of experience in this industry ensures smooth delivery for the Client from contract award through to completion. His industry knowledge is secured across a wide range of sectors from first time infrastructure to groundwork packages for commercial units, whether operating as main or sub-contractors. Grahams role extends to include the financial management of numerous projects including cost monitoring, health and safety issues and sub-contractor selection. His executive management oversees a team of skilled and experienced contract managers incorporating effective liason with the Client. John joined the company at the outset in 1994 as Quantity Surveyor and was appointed Commercial Director and Company Secretary in 2002. He specialises in securing contracts and competitive prices whilst maintaining the high level of service and quality that our Clients expect. Furthermore, by continual liason with the Client and Client's representatives he ensures jobs run smoothly, and meet their deadlines. John's areas of expertise encompass all civil engineering and groundwork sectors which consistently exceed standards as most projects are derived from repeat business. Apart from his involvement with the day to day running of the company, John is proactive in taking the company forward in terms of software development and new practices, continuing to improve the professional service we provide clents across domestic, commercial and industrial projects alike. John maintains a pivotal role; involved in all aspects of the Company whose advice remains invaluable in decisions regarding future growth.